He told me it all started after hearing about a mysterious plaque in D.C.’s Union Station, commemorating the neighborhood that was displaced by construction of the station at the start of the Twentieth Century. After some initial research, he discovered that Swampoodle had been a working-class Irish neighborhood developed in the mid-1800s, starting with refugees from the potato famine. It was a small community, centered on H Street and a road called Jackson Alley, stretching a few blocks north and south and roughly from 2nd Street NE to 1st Street NW. The area was a marshy one riddled with puddles from the now buried Tiber River, and the name is said to have been coined by a reporter covering the construction of St. Aloysius Catholic Church in 1857. The neighborhood actually appears throughout the newspapers of the day, usually in sensational stories about crime and violence in this gritty ghetto, written with a decidedly anti-Irish bent. But its residents made numerous contributions to the District, not the least of which was the construction of its grand buildings – including the train station that led to its demise. Many of the area’s modest homes were destroyed to build Union Station, and the railway cut the neighborhood in half. Even more of the community was lost as it was zoned for industrial uses, and its Irish residents eventually dispersed to other parts of the city. Swift says that there was always a significant African-American presence in Swampoodle, and it’s now a predominantly African-American neighborhood. He was surprised to read that these two groups had lived side-by-side during a time of segregation, and that despite some tensions, Irish and black residents even worked together to open a school for the area. The only remnants of the neighborhood’s Irish heritage that you can still see are St. Aloysius Gonzaga Church and the Jesuit Gonzaga College High School, as well as some of the original row houses from that time period. 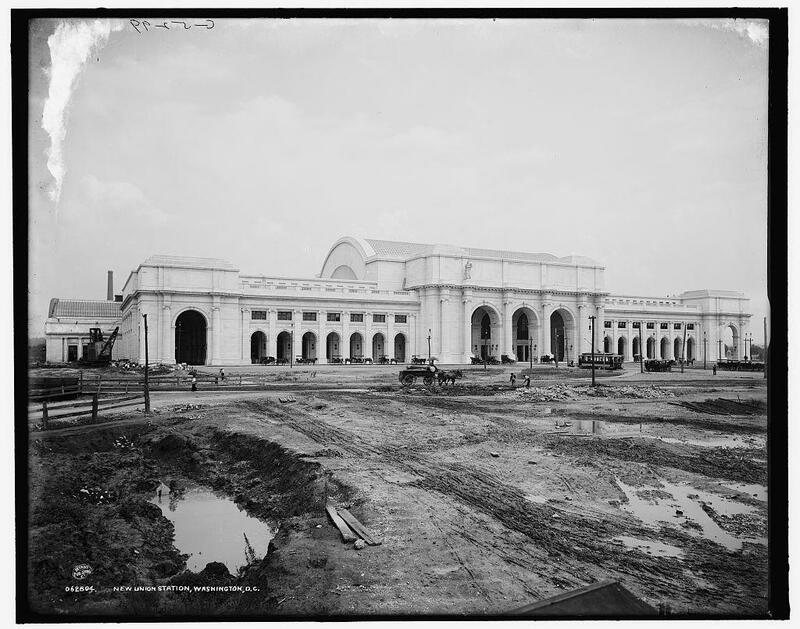 Even the unique name Swampoodle has been forgotten (ironically the Union Station plaque has also disappeared). It’s been replaced by the made-up, marketing designation of NoMa (North of Massachusetts Avenue). 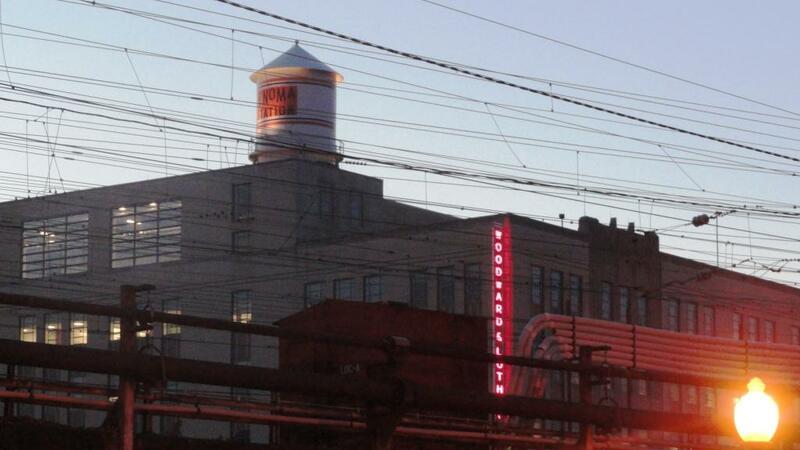 Today, the NoMa area is undergoing a renaissance, with a new metro stop, modern condos, restaurants, and grocery stores, but there’s also an interest in reviving its forgotten history (the NoMa Business Improvement District is even searching for that plaque). Swift and Mangan walked the streets searching for signs of Swampoodle, and were shocked by how quickly the neighborhood changed before their very eyes, even as they were writing the play. 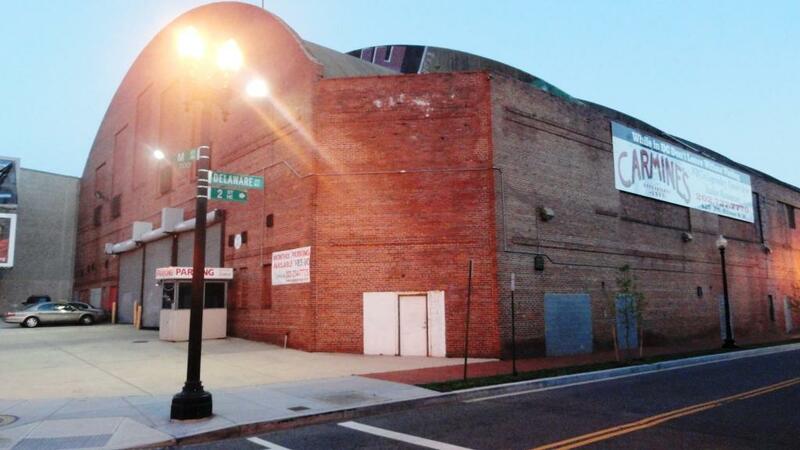 Most of their productions are site-specific, and they soon discovered the perfect venue at 3rd and M Street NE – the abandoned old Uline Arena. It was originally built by Dutch immigrant Migiel Uline in 1941 for his ice hockey team, and constructed by mostly Irish workers who lived in Swampoodle. Throughout the years it had a variety of uses, from boxing matches to political rallies. Swift described it as a “massive, urban cathedral,” but today it looks more like the ruins of a modern-day Roman Colosseum, which essentially it is. 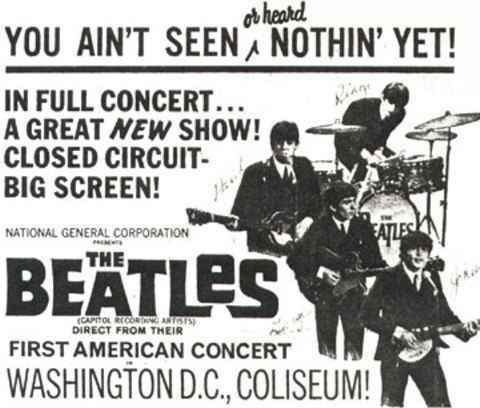 In its heyday, the Uline was renamed the Washington Coliseum, and became famous for hosting the Beatles’ first U.S. concert after their iconic appearance on the Ed Sullivan show.It became the go-to venue in D.C., the Verizon Center of its day. While in its early days African-Americans were barred from attending events other than boxing matches, the arena was eventually integrated, and later showcased local black performers like go-go artist Chuck Brown. In 1971 it was used as a temporary prison for the thousands of people arrested in D.C. protesting the Vietnam War. Eventually the arena fell into decline, and was ignominiously converted into a trash sorting center. Today it’s an indoor parking garage. Swift wants to reclaim the Uline’s old glory, and bring some of the “glitz and grit” back to the space. He describes his play Swampoodle as more performance art, or a piece of theater archaeology. The cars will be gone, and the actors will be stripping away the layers of history to reveal the stories of the neighborhood and the arena underneath. He promises old-school showmanship and big effects, interspersed with smaller vignettes about the residents who lived and died around the Uline. I’ll be heading to Swampoodle tomorrow to see its first preview performance. Get your tickets now – it will only be in D.C. for one week, May 20th – 28th, before Swift and Mangan return to Ireland, and the arena once again goes dark.So, what exactly is Swampoodle? I have to say, I’m still not quite sure, but I’m looking forward to finding out. Best post yet by Historic District! This story is fascinating. I’ve recently been researching Sophiatown, a Joburg suburb not far from Melville that was completely demolished by the apartheid government in 1955 (it was one of the city’s only integrated neighborhoods at the time) and replaced by a new white suburb called Triomf. It’s recently been renamed Sophiatown and trying to find its heritage again. Very similar story in lots of ways. Thanks 2summers! I really enjoyed researching and writing this one – and the play Swampoodle was a very cool experience. The Uline space was amazing, like an abandoned mausoleum…at one point they played a segment of Beatles music and projected photos of the Fab 4 onto the huge wall. The reverberations sounded like some ghostly echo of the past. They also depicted the changing nature of the neighborhood – at one point, they read an 1870s Washington Post article about violence in the Irish quarters. The article also talked disapprovingly of Irish and Black residents living side by side. It really reminds me of the story of Sophiatown – in D.C., authorities were probably happy to see Swampoodle disappear after building the railroad right through it. It seems like the apartheid government took more active measures to demolish the neighborhood. I remember a waitress and musician at Lucky Bean in Melville telling me about the revival of Sophiatown – I can’t wait to read your blog about it!